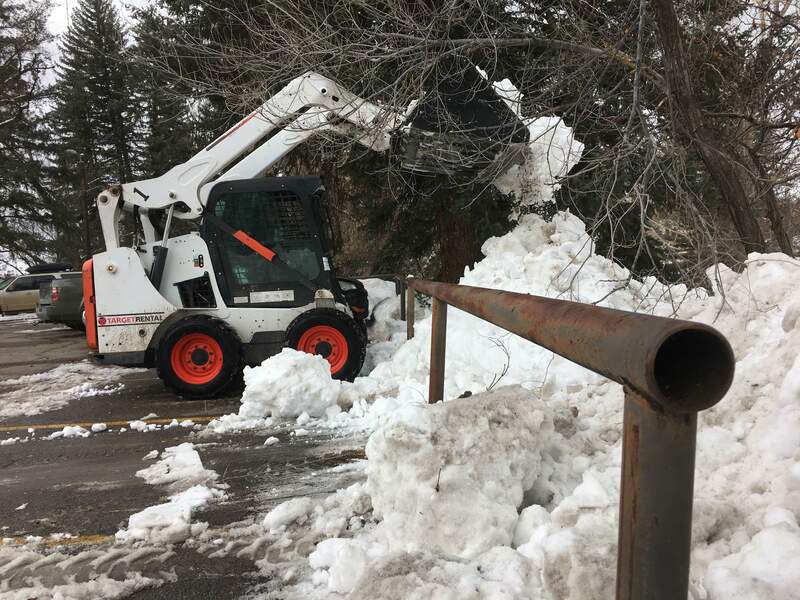 Southwest Colorado received a few days reprieve from snowy weather, which gave residents, contractors and city workers time to clear driveways, roads and parking lots. But more snow was expected to arrive Monday night in the high country of the San Juan Mountains. Sunny skies are expected to return later this week. Travel advisories are in effect on Coal Bank, Molas and Red Mountain passes as a snowstorm entered the region Monday afternoon. According to the Colorado Department of Transportation, chains or alternative traction devices are required for all commercial vehicles, including buses and vans with a capacity for 16 people or more. Passenger vehicles are required to have snow or mud/snow tires, use chains/alternative traction devices or be a four-wheel/all-terrain vehicle. The incoming storm is expected to drop 4 to 8 inches in the high country of the San Juan Mountains on Monday into Tuesday. The National Weather Service issued a winter weather advisory from noon Monday to 9 a.m. Tuesday for the southwest and northwest San Juan Mountains, including the towns of Silverton, Hesperus, Rico, Telluride, Ouray and Lake City. Wind gusts could reach as high as 55 mph during that time. The National Weather Service warned that travel could be difficult with icy and snowpacked roads. Visibility from drifting snow could also affect drivers. With wind chills, temperatures could reach as low as 20 below zero, increasing the risk for frostbite if exposed. In Durango, there was a 70 percent change of snow throughout the day Monday, though less than a half inch is predicted. Thunder is also possible. Monday night into Tuesday, the NWS said the chance of snow will continue, though not much accumulation is expected. The rest of the week is predicted to be sunny and clear.